The current 2018-19 stickers entitle holders to free parking (charging started on 2nd January 2019). Do get in touch if you think you should have one but have not received it, or have lost it. 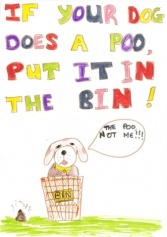 Bag it and Bin it! There are ten bins for dog waste dotted around the site, and these are emptied by our contractor twice a week. The contract does not include picking up "stray" poo from the paths - we rely on responsible owners to bag and bin it themselves. Thank you for taking the time to place your own dog's poo in these bins, and thus helping to keep the paths clear for all visitors. The project started in 1989 when the land came on the market; the price of the land was £327,000. The Magog Trust was formed, and purchased the land in September 1989; it then initiated a programme of reclamation and development for long term conservation and recreation. So many people make regular use of the free Permissive Open Access on Magog Down, it is easy to forget that the whole area is privately owned, and access is permitted only within certain rules. 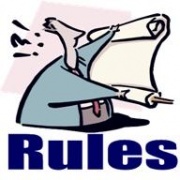 Why not read through the Rules of the Down before your next visit? (And see more detail here about recent changes). We also now maintain an FAQ to help in answering some common queries. - but expect an email within five days, and check your Spam if not seen. We had a huge response to our Volunteers' car park leafleting campaign during December, and now even more so since the car park charging went live on 2nd January. 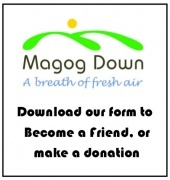 It's amazing to realise how many people visit Magog Down often enough to want to become Friends, and we are working our way through all the applications in the order received. Over 900 letters with car stickers have been posted out since November, with a few dozen constantly in the processing queue. The Admin 'team' consists of just one person, so please be patient! If you have not heard from us by email PLEASE CHECK YOUR SPAM! We know that often our messages get filtered out, even when it is a simple reply, so do check in your Junk folder if you've asked for bank details in order to pay. Failing that, you can always call us: 07774 084595 and leave a message, we will get back to you. How many contribute to the costs of running and maintaining it? 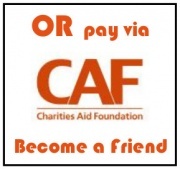 Friends and Members do, and their commitment is important to the charity. To ensure its future we need the support of all visitors. To encourage everyone who uses the Magog Down to pay towards these costs, the Trustees have decided to introduce a charge for car parking, except for Friends and Members. The parking charge is £3 a day. The Magog Down is an area for restoration, conservation and informal recreation on the Gog Magog Hills just south of the boundary of the City of Cambridge, off the A1307 road to Linton and on Haverhill Road, Stapleford. Magog Down is owned and managed by the Magog Trust who bought it in 1989. It covers 163.5 acres of previously intensively farmed arable land. It is freely open to all, all year round. 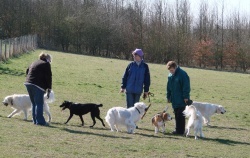 Health & recreation - Whether out for a stroll, a walk with the dog or a slightly more energetic jog, the rolling fields and stunning views make this the perfect setting. Flora and fauna - With a wealth of native trees, shrubs, meadow grasses, flowers and associated wild life, this restoration area is a must whether you are a keen amateur or a seasoned enthusiast. Agricultural use - About one-third of the land is farmed under a standard arable crop rotation by contractors. Sheep are grazed in the paddocks on the South Down. Part of the site is managed under Entry Level Stewardship and part under Higher Level Stewardship under the guidance of Natural England.This helps in the overall aim of the project - to recreate a chalk grassland typical of more than a century ago. Jane's Piece Boardwalk: "What an improvement!" In January 2017 a 27-metre long section of Boardwalk was laid along the permissive path known as "Jane's Piece". It was such a success that before the end of 2017 we installed a further 60-metre length. The total cost of materials and installation so far is a little over £15,000, and we are inviting donations to Sponsor the existing boards (they work out at £40 each!) and to raise further funds to extend the walk along the remainder of the chalk bank. "On numerous occasions I have seen people having difficulty with the rough and sometimes slippery terrain and think this new installation will make it safer and more accessible." 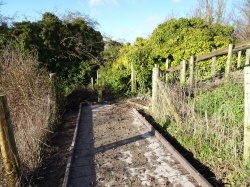 As well as improving access, the boardwalk will prevent further damage to the chalk ground beneath it, thus protecting the precious flora in the bank next to it. Any donations, large or small, are welcome. You can use our generic form and just mark your donation "Boardwalk" OR you can Donate via CAF if you want to pay by card or Direct Debit. Thank you! Great news we have been rewarded our grant request of £2,900 in order set up this additional in terms of fencing, gates and seating. On top of this there will be annual costs of grass cutting and dog bin emptying. During January and February we were one of three charities looking to receive money from the local "Bags of Help" scheme. Supporters voted for us using their blue tokens in any of the Tesco stores in and around Cambridge. See more about the project in this News item. We will now finish the project with the installation of a couple of picnic benches and some notices. There are many wildflowers to be found growing on Magog Down throughout the year. Do read about some of them in our Flowers at the Down pages. This month, among others watch out for Viola odorata, or Sweet Violet among the hedges and woodland. We now have a Twitter account, you can follow us there for news and updates. 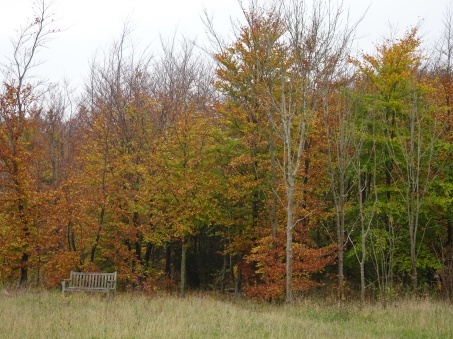 It costs around £50,000 per year to maintain the accessible parts of Magog Down, including the Ranger service, twice-weekly dog-bin emptying, regular grass cutting, fence and gate repairs, and forestry activities (not counting the cost of farming our arable section). Grants and investment income do not fully meet these costs, so the Magog Trust looks for additional support from each visitor to the Down. Please become a Friend to help us look after this special piece of countryside, year after year. REMINDER: Magog Down is a Drone-free Zone! Flying of drones (UAV) is not allowed over or from Magog Down unless for a defined project with written authorisation by Trustees of The Magog Trust. 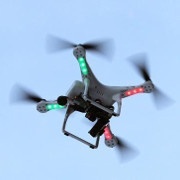 Aircraft have always been forbidden, and in June 2015 the rules were updated to specifically exclude drones as well. We ask all visitors to abide by the Rules of the Down at all times. Thank you!